Mayo Clinic Clinical Autonomic Quantitation Workshop 2019 is organized by Mayo Clinic, Mayo Clinic School of Continuous Professional Development (MCSCPD) and will be held from Apr 26 -27, 2019 at Mayo Clinic, Rochester, Minnesota, United States of America. Target Audience: This course is designed for individuals interested in the performance of non-invasive clinical autonomic tests, who are primarily neurologists, autonomic laboratory personnel, autonomic clinicians, and clinical neurophysiologists. Available Credit 10.25 AMA PRA Category 1 Credit™ 10.25 Attendance Course Description: This course will focus primarily on the three autonomic function tests that have CPT codes. The program will integrate three specific aims beginning with lectures on the underlying physiology, patient preparation, indications for autonomic testing and factors that affect the results of these autonomic tests, and HCFA requirements. 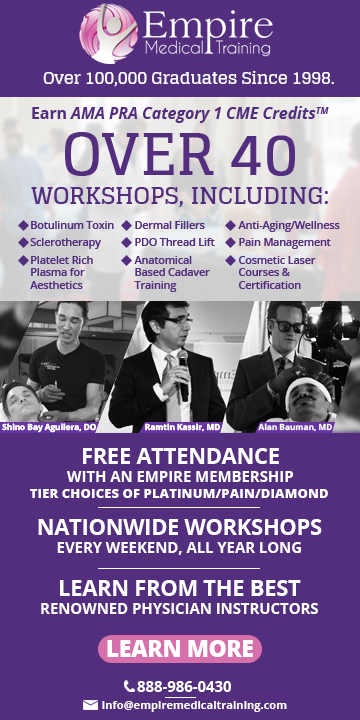 The heart of the workshop will be a demonstration of specific autonomic function tests; quantitative sudomotor axon reflect test (QSART), tests of cardiovagal function (heart rate response to deep breathing and to the Valsalva maneuver), and tests of the adrenergic function and will incorporate hands-on demonstrations. There is also content on the interpretation of common and uncommon examples of tests, and lectures on a number of dysautonomias (POTS, syncope, autoimmune neuropathy; and pain) on which new information is available, or disorders where the autonomic laboratory is responsible for evaluating. Learning Objectives: At the conclusion of this course, participants should be able to: • Recognize the underlying basis for the evaluation of autonomic function. • Utilize autonomic testing in patients with autonomic disorders. • Develop a plan for autonomic testing of patients with autonomic disorders. • Assess commercially available autonomic equipment. • Select new autonomic function tests using underlying autonomic principles. Technicians: • Perform autonomic testing proficiently and efficiently. • Recognize technical errors/pitfalls. • Troubleshoot and identify patients requiring additional studies. • Identify most common autonomic abnormalities on testing. Physicians: • Interpret various autonomic study patterns and translate them into a meaningful interpretation. • Identify and manage major autonomic disorders. Anesthesia Maintenance of Certification in Anesthesiology (MOCA) Simulation Course is organized by Mayo Clinic and will be held on Apr 27, 2019 at Mayo Clinic Multidisciplinary Simulation Center, Rochester, Minnesota, United States of America. This CME Conference has been approved for a maximum of 6.0 AMA PRA Category 1 CreditsTM. Additional details will be posted as soon as they are available. Phlebotomy 2019: People + Performance = Patient Care is organized by Mayo Clinic Laboratories and will be held from May 02 - 03, 2019 at Hilton Rochester Mayo Clinic Area, Rochester, Minnesota, United States of America. Intended Audience: This conference is designed for phlebotomists, phlebotomy managers, phlebotomy educators, and other patient-care staff involved in specimen collection. Accreditation: ASCLS P.A.C.E.® Mayo Clinic Laboratories is approved as a provider of continuing education programs in the clinical laboratory sciences by the ASCLS P.A.C.E.® program. The Phlebotomy 2019 conference has been approved for a maximum of 11 P.A.C.E.® contact hours. The level of instruction for this program is intermediate. State of California Mayo Clinic Laboratories is approved as a Continuing Education Accrediting Agency for clinical laboratory sciences for the State of California. This program has been approved for 11 contact hours. State of Florida Mayo Clinic Laboratories is approved as a Continuing Education Accrediting Agency for the clinical laboratory sciences for the State of Florida. The Florida Board of Clinical Laboratory Personnel has designated this program for 8 contact hours of General credit and 3 contact hours of Supervision/Administration, Quality Control/Quality Assurance, and Safety credits. Conference Description: This two-day conference will offer the opportunity to learn how to identify and overcome challenges faced in the workplace, how to get started on the journey to professionalism, and how to develop an onboarding program for new supervisors. The conference will also feature an interactive session in which you will have the opportunity to submit difficult phlebotomy cases ahead of time. These will be addressed during the live program. Additionally, you will learn about risk and prevention of occupational exposure associated with blood-borne infections and discuss high-consequence infectious diseases and their impact on phlebotomy staff. Finally, you will learn about the journey to becoming a pediatric technician, collecting samples from pediatric patients, and blood cultures.​ The conference format balances topics of general interest, which are presented in large-group sessions, with breakout sessions and tours geared toward specific areas of interest. Conference Objectives are: Upon completion of the conference, participants should be able to: • Identify the challenges faced in the workplace as the starting point of a quick and efficient turnaround time for laboratory specimens. • Create and recognize coping mechanisms for working with pediatric patients. • Solve difficult cases in phlebotomy during an interactive and entertaining session. • Define an ideal patient experience with a phlebotomy collection. • Use key tools and resources for pediatric patients. • Describe the personal protective equipment (PPE) considerations for phlebotomists interacting with high-consequence infectious disease (HCID) patients. • Design a structure for an onboarding program to help tackle the challenges of a new leader. • Review the risks of and prevention mechanisms for occupational exposure to HBV, HCV, and HIV infections. • Discuss best practices for collecting blood cultures. Cardiovascular Medicine Continuing Education: A Scientific Celebration of the 37+ Year Mayo Clinic Career of Raymond J. Gibbons, M.SC., M.D. is organized by Mayo Clinic Cardiovascular Medicine CME (CV CME) and will be held on May 04, 2019 at DoubleTree by Hilton Hotel Rochester - Mayo Clinic Area, Rochester, Minnesota, United States of America. This CME Conference has been approved for a maximum of 4.5 AMA PRA Category 1 Credits. Target Audience: This program will connect Mayo Clinic faculty, alumni, providers and researchers, cardiologists and surgeons committed to improving the lives of patients with cardiac disease. Course Description: This program will focus on coronary artery disease risk stratification and MI quantification, guidelines, health policy and appropriate use criteria improving clinical practice. Attending this one-day event will highlight the data that has been the clinical gold standard and the advances in medicine to advance care for this patient population. The program will recognize the contributions of Raymond J. Gibbons, M.D., a recognized cardiologist, educator and researcher in the Department of Cardiovascular Medicine. Course Objectives: Upon completion of this activity, participants should be able to: • Identify the evolving need for risk stratification in the evaluation of suspected coronary artery disease. • Review the challenge of adequately powered randomized clinical trials in an era of declining cardiac event rates. • Describe the tension between scientific evidence review and clinical utility in the development of clinical practice guidelines. Additional details will be posted as soon as they are available. 39th Practice of Internal Medicine 2019 is organized by Mayo Clinic and will be held from May 06 - 10, 2019 at Hilton Rochester Mayo Clinic Area, Rochester, Minnesota, United States of America. 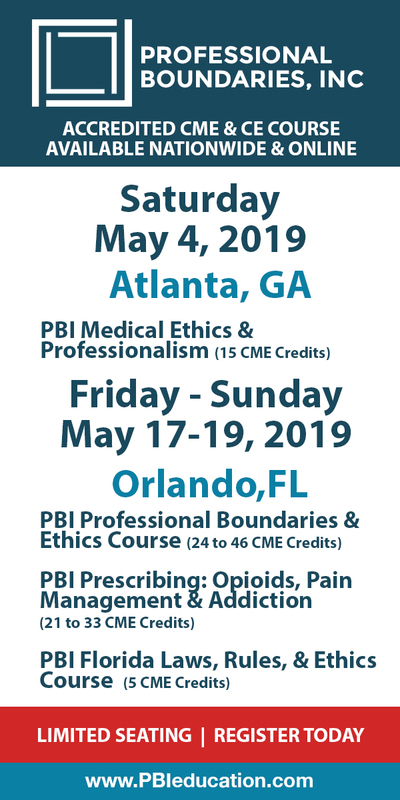 Target Audience: This course is designed for general internists, internal medicine subspecialists, family medicine physicians, and other primary healthcare providers. Available Credit: • 31.00 ABIM • 31.00 AMA PRA Category 1 Credit™ • 31.00 Attendance Course Description: The Practice of Internal Medicine, celebrating its thirty-ninth year, is a postgraduate course designed to provide general internists, internist-subspecialists, family medicine physicians, and other primary care professionals with a state-of-the-art update in internal medicine. Lectures, panel presentations, and concurrent workshops are presented by specialists from Mayo Clinic. The topics represent some of the most common problems encountered in clinical practice including the management of a variety of medical issues seen in areas of gastroenterology, infectious diseases, general internal medicine, rheumatology, geriatrics, emergency medicine, pulmonary, endocrinology, cardiology, neurology, and women’s health. Learning Objectives: Upon conclusion of this program, participants should be able to: • Validate the reasoning to place high risk patients on statin therapy. • Cite the latest advances in internal medicine based on evidence. • Manage patients effectively with common disorders in internal medicine and medical subspecialties. Time: 7:00 am - 12:00 pm Additional details will be posted as soon as they are available. Controversies in Wrist Surgery & Pre-Conference Lab Advanced Wrist Arthroscopy is organized by Mayo Clinic and will be held from May 16 - 19, 2019 at Mayo Clinic, Rochester, Minnesota, United States of America. Target Audience: This course is designed for the orthopedic and plastic surgeon with a significant hand practice and covers the spectrum of disorders of the wrist and distal radioulnar joint. Available Credit: • 31.75 AMA PRA Category 1 Credit™ • 31.75 Attendance Course Overview: The format will be case-oriented, covering topics in bony and soft tissue trauma, degenerative disease, and inflammatory arthritis, to name a few. Videotaped surgery clips and cadaveric surgical dissection will be used to demonstrate complicated surgical procedures. Case examples will be presented prior to each didactic session, followed by open discussion. Breakout sessions will provide more in-depth coverage of specific wrist topics and provide updates on advances in arthroscopy and arthroplasty from recognized experts in the field. A strong emphasis will be placed on the surgical and arthroscopic technique. Registrants are encouraged to bring their own cases to discuss with the faculty. Special times for these exchanges will be arranged. Course Highlights: • Glean the latest advances is arthroscopy and arthroplasty from recognized experts in the field • Learn hands-on surgical techniques by attending the pre-course cadaver lab • Cultivate professional interactions with colleagues involved in wrist surgery Learning Objectives: Upon the conclusion of this program, participants should be able to: • Evaluate the latest advancements in surgical and nonsurgical treatments for thumb arthritis • Construct a diagnostic and treatment algorithm for the treatment of scapholunate and perilune injuries • Construct a diagnostic and treatment algorithm for ulnar-sided wrist pain and DRUJ instability Pre-Conference Laboratory Workshop – Anatomy of the Wrist - May 16, 2019 Controversies in Wrist Surgery - May 17-19, 2019 Additional details will be posted as soon as they are available.